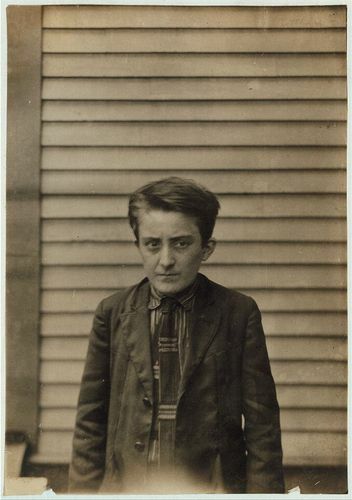 Louis Pelissier, 29 8th St., 16 year old (May 16, 1916) applicant 2nd grade - deficient mentality. Doesn't know name of place where he is going to work. Made it out for Small's mill, they weren't sure. Had been a sweeper but work was too hard for him. Didn't know how much he was to get. (Miss Smith to see what kind of card he got.) Worked at Union Mill, $3.27, as a sweeper.